Things are changing pretty quickly, MultCloud is no exception. We posted a review about this web app last year. Its main functions are combining multiple cloud services together, so that you can managing them in one place. Thus, moving files between cloud drives becomes easier for users. Along with the fast-pacing development of society, people touch many new things everyday. In order to attract more users and make it simple to use, MultCloud developed a new feature – Experience without signing up. 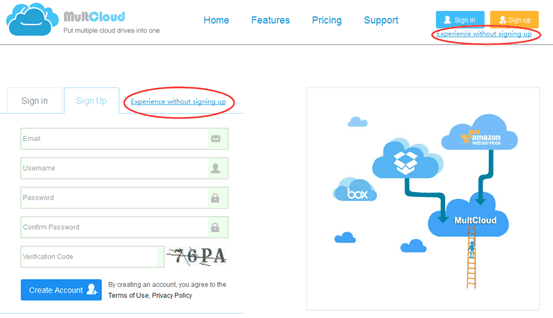 If you try and feel fine with it, then you can change the username&password and bind your email address. Dropbox, Google Drive, Box, Amazon S3, Amazon Cloud Drive, SugarSync, Alfresco, Hubic, Evernote, OneDrive, MEGA, CloudMe, Cubby, MyDrive, WEB.DE, Yandex, HiDrive, MySQL, Flickr, MediaFire, OwnCloud, ADrive, BaiDu, WebDav and FTP/SFTP. 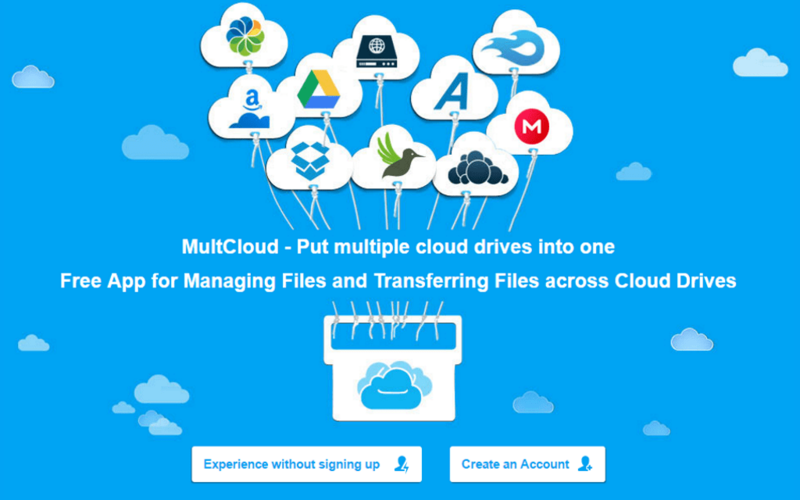 We know the key feature of MultCloud is transferring files from one Cloud to another. Since MultCloud has a professional Transfer interface, you can set more details for transfer task. If you choose schedule transfer, the task can be committed even after power off. 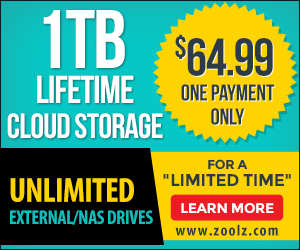 In fact, every MultCloud users can get 10 TB traffic freely, we think this is enough for common use. MultCloud also has a Google Chrome extension. After adding it to your browser, you can use MultCloud and Google Drive more easier. 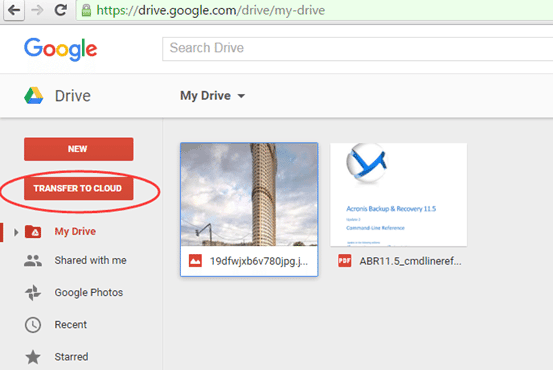 When you enter web edition of Google Drive via Chrome, there is a new red button on the left-TRANSFER TO CLOUD. 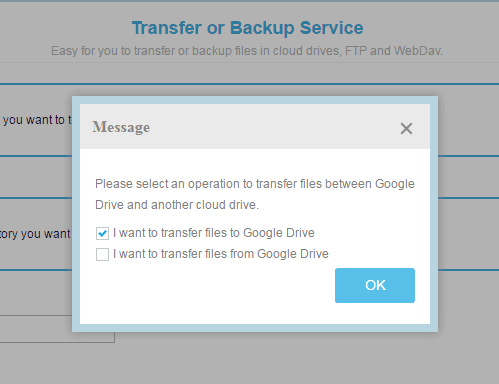 Click it, will link to MultCloud and help you transfer files to Google Drive or from Google Drive to another directly. After setting, you can check the task by clicking the MultCloud’s icon on Chrome. More tutorial please learn here. I like MultCloud. It brought me too much surprises. About its security, I learned from its official site, many guarantees to protect our data. The server of MultCloud itself does not save and cache our file. I believe and enjoy it!